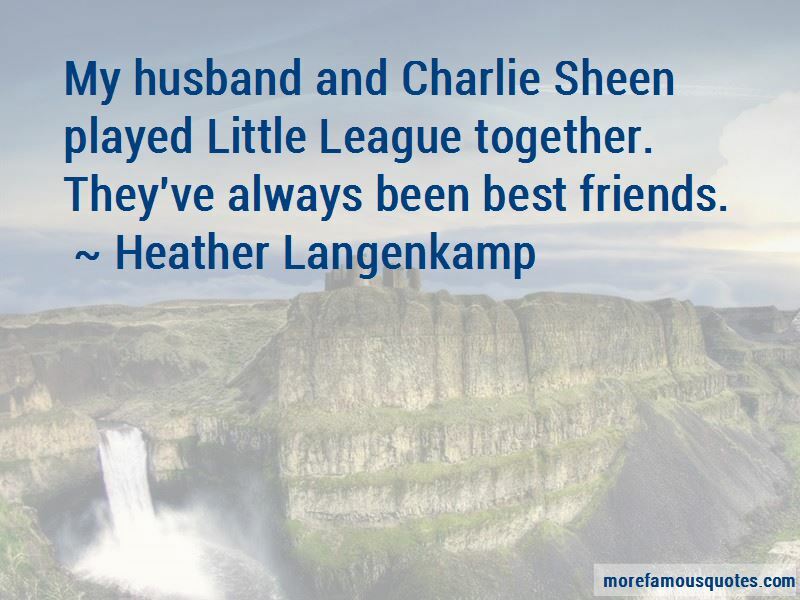 Enjoy the top 13 famous quotes, sayings and quotations by Heather Langenkamp. I do wish I'd had a better career. Who wouldn't? One of the annoying things when you're in a movie is that gets talked about is everyone projects meaning onto everyone's intentions. You can never empathize with your parents as a teenager. You just think they're just on another planet. I was fortunate enough to have my kids early, so being a mom always ended up being a better gig than these other parts that came along. So I always justified not really working a lot because I had a family. Want to see more pictures of Heather Langenkamp quotes? Click on image of Heather Langenkamp quotes to view full size.